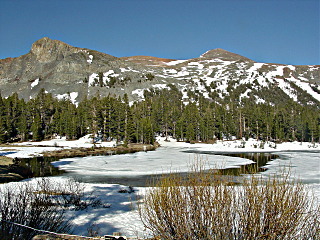 These are a few pictures from a car trip on May 22, 2008, the first day the Tioga Pass road was opened for the 2008 season. 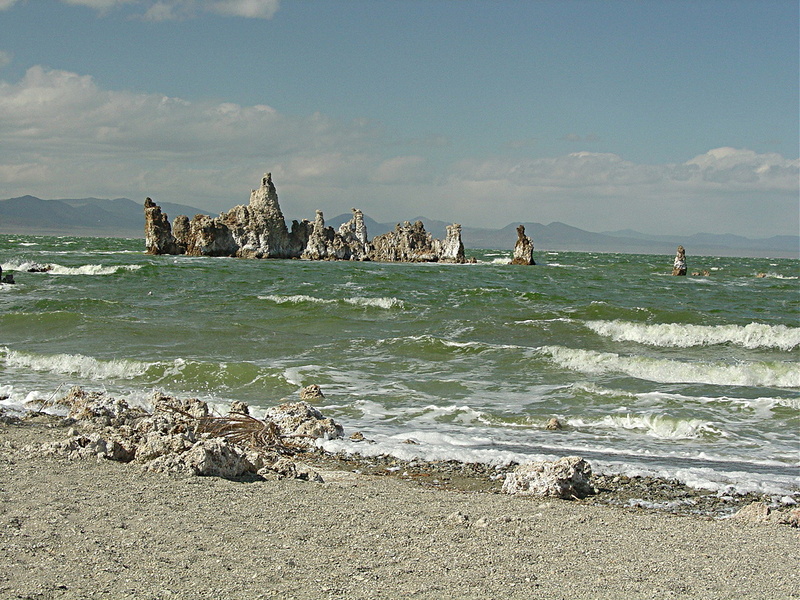 It had been a light snow year and we were eager to check out the high country conditions and visit Mono Lake. 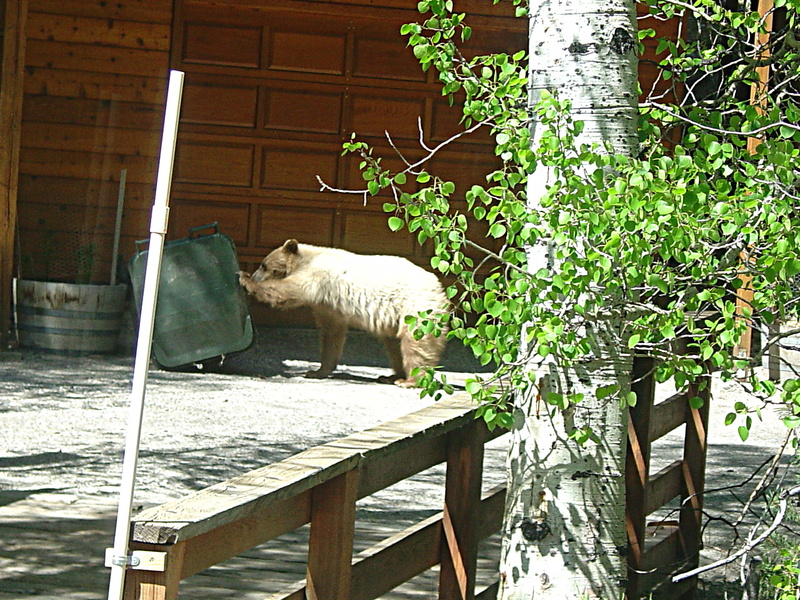 Note: Two pictures taken by Richard Radanovich on May 29, 2008, after a spring snowstorm have been added. Mt. 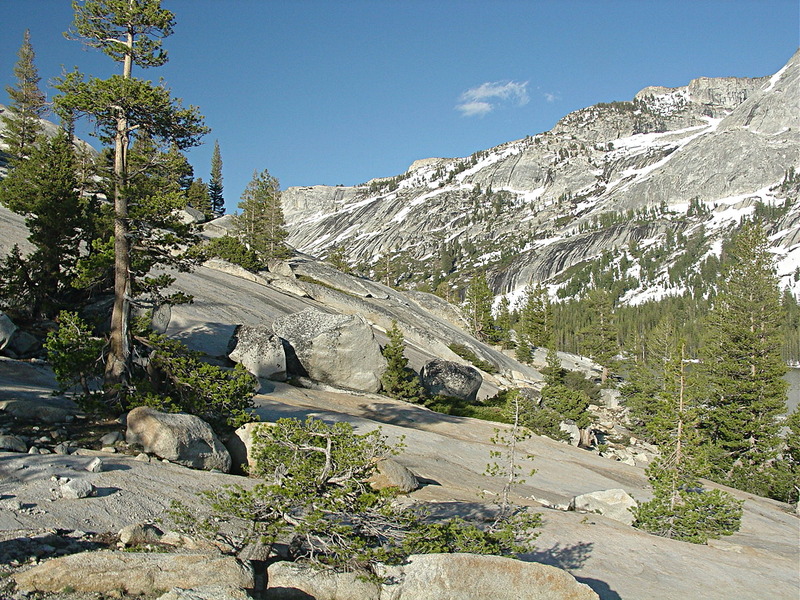 Dana from a turnout on the Tioga Pass road about 3 miles before reaching the Pass. The meadow still needs to come to life now that the snow has melted. 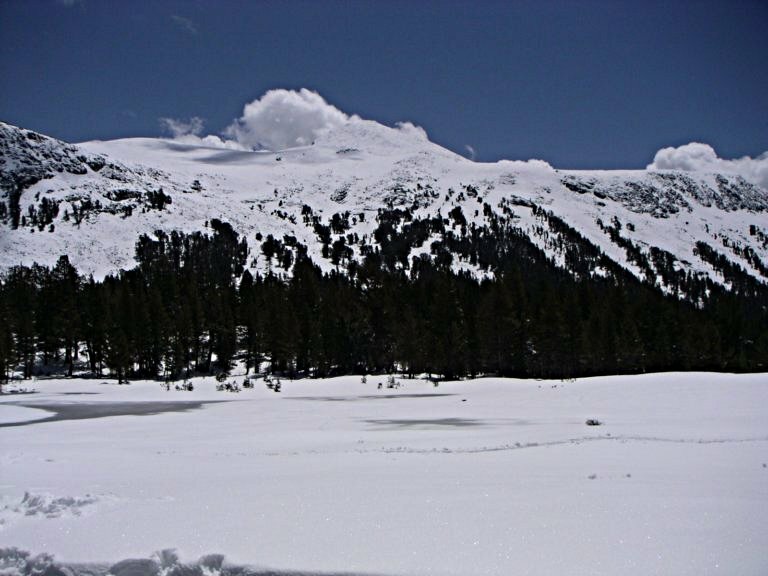 A week later Richard Radanovich drove over Tioga Pass after a surprise spring snowstorm. 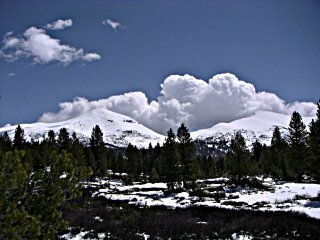 Here is a picture he took on May 29, 2008, of Mt. Dana (on left) and Mt. Gibbs (on right) from the West. 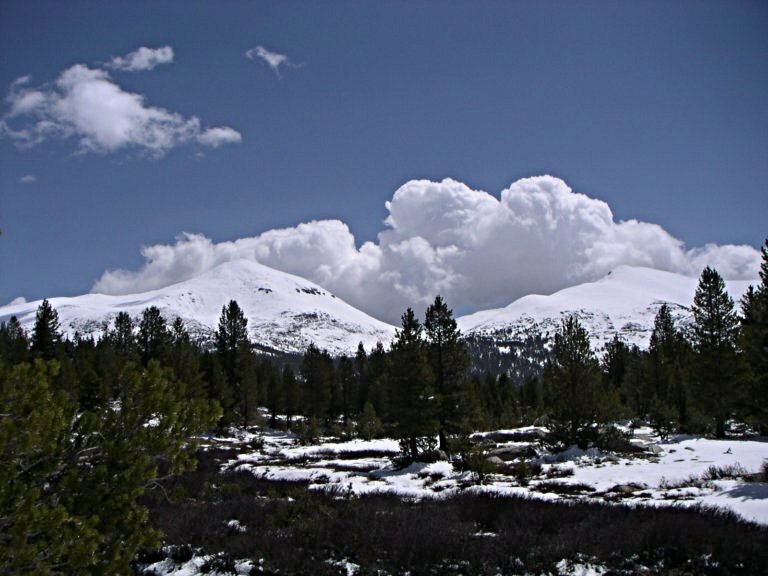 This is a good reminder of how quickly the mountain weather conditions can change! 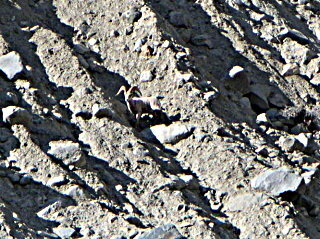 Richard also took this picture on May 29 of a ram bighorn sheep getting minerals along the road just east of Warren Canyon. Mt. 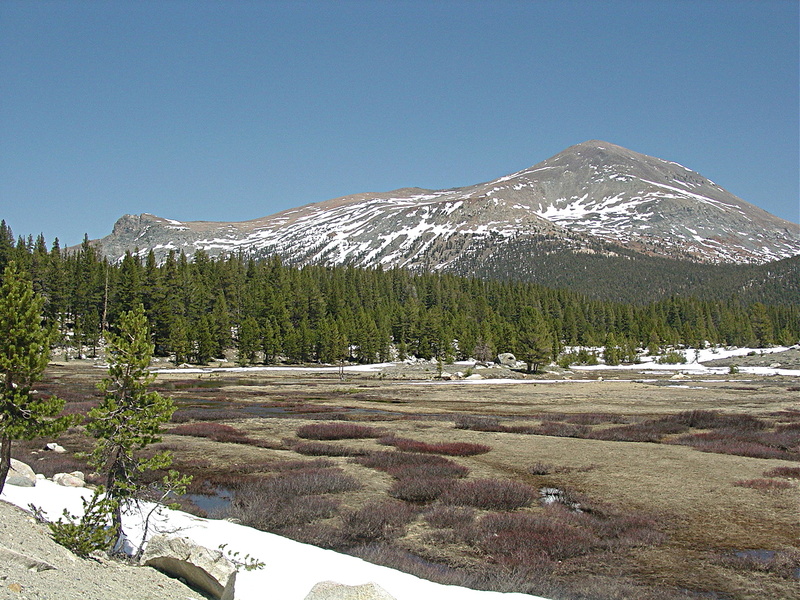 Dana taken from the Tioga Pass parking lot. 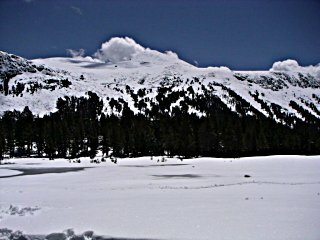 Although a hiker would need to cross some snow at the start of a hike up Mt. Dana, there is very little snow after the first 1000 feet of rise. Another picture taken by Richard on May 29. 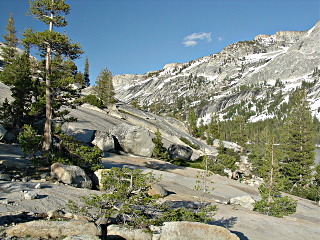 This one is also from the Tioga Pass parking lot. 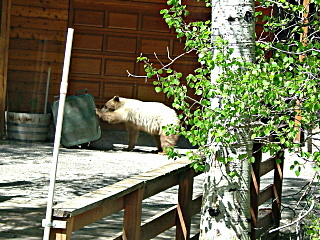 As we took a drive around the June Lake loop, we saw this bear checking out a trash can. 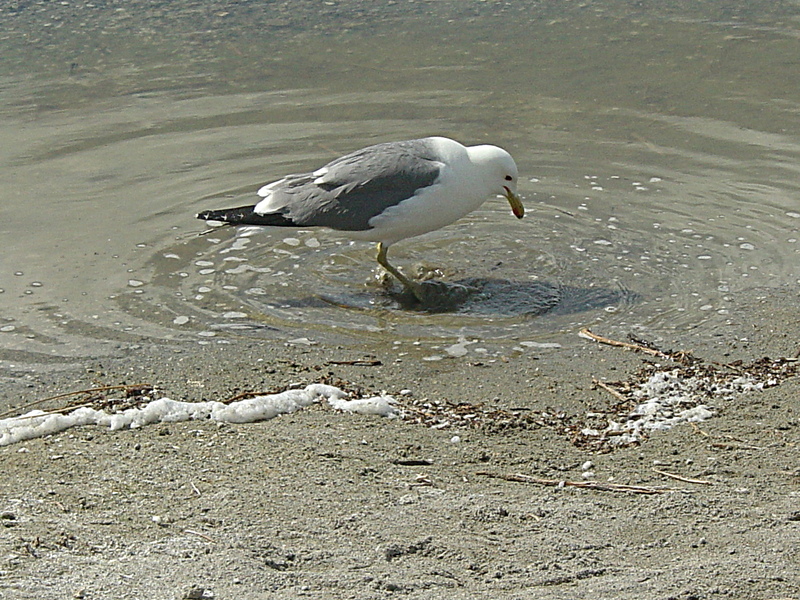 This sea gull is thrashing is feet to stir up brine shrimp at the edge of Mono Lake. 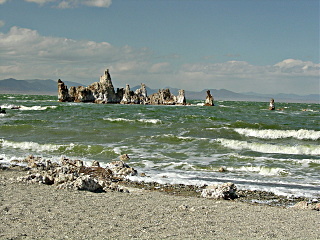 Mono Lake at its south shore has many of these interesting calcium carbonate structures called tufas. They were formed when calcium-rich underground water entered the alkaline lake from below forming a solid cone of calcium carbonate precipitate. 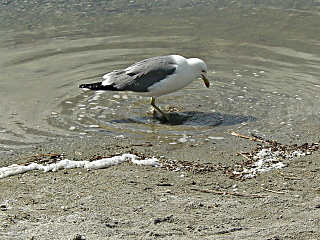 The lake surface was much higher before Los Angeles took water from the streams feeding it, but is now being allowed to slowly recover. 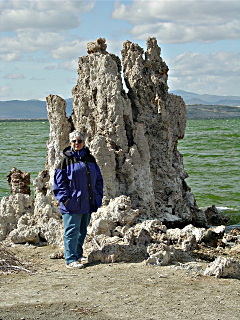 Marren is standing next to a tufa to show their typical size. On the way back west in the afternoon, we stopped next to Tanaya Lake and I took this picture looking toward the north end of the canyon. 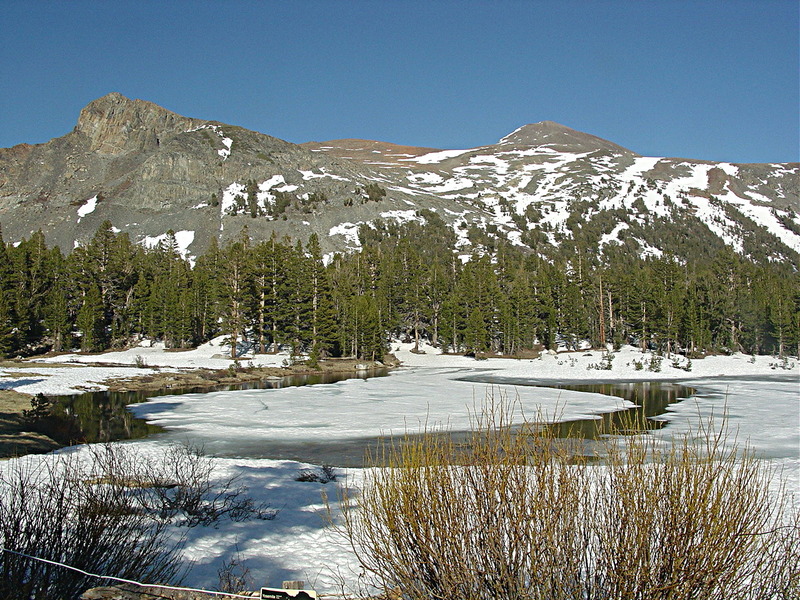 A part of the lake can be seen in the lower right.